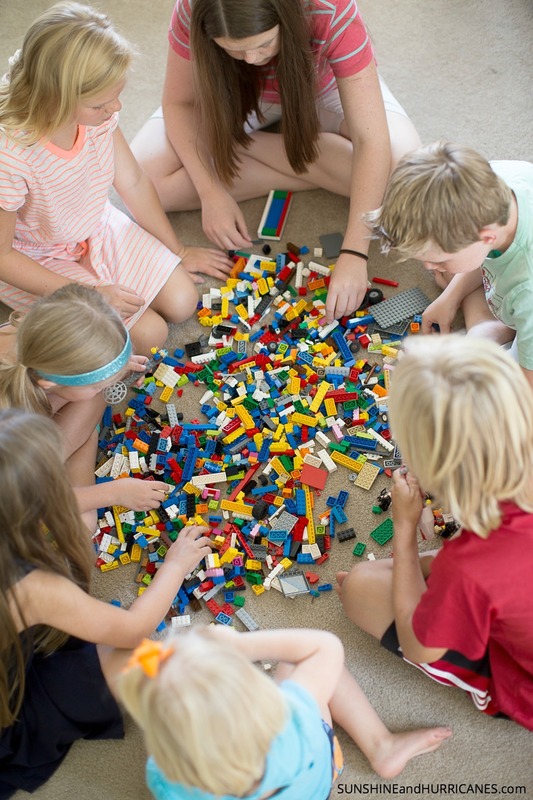 Kids love legos and if you’re household is anything like mine, you have hundreds if not thousands of legos. It’s always great when you can give kids new ways to use their existing toys and to challenge their creativity at the same time. 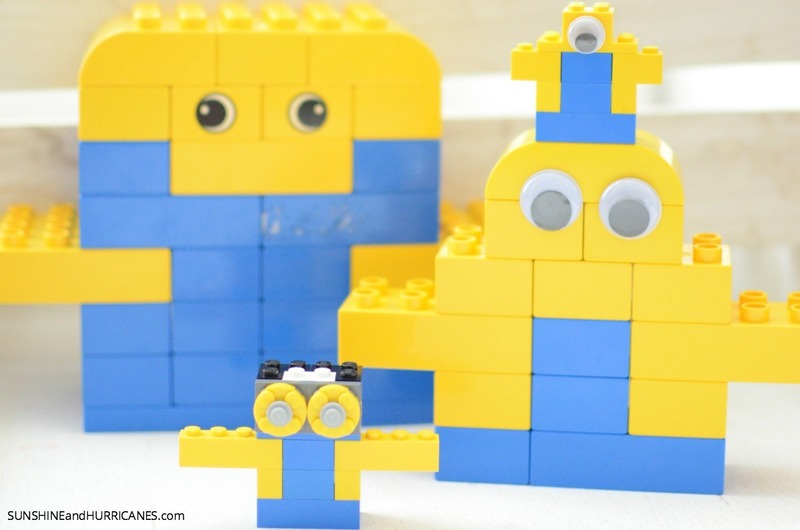 We thought it would be fun as part of our Minion series to see what kinds of Minions our kids could come up with using primarily their blue and yellow legos. One of the best parts of this activity is that it is kind of a two in one. Just having the kids sort out all the blue and yellow legos took quite a bit of time. They actually thought it was fun trying to hunt for the specific legos and it kept them busy the better part of one morning. 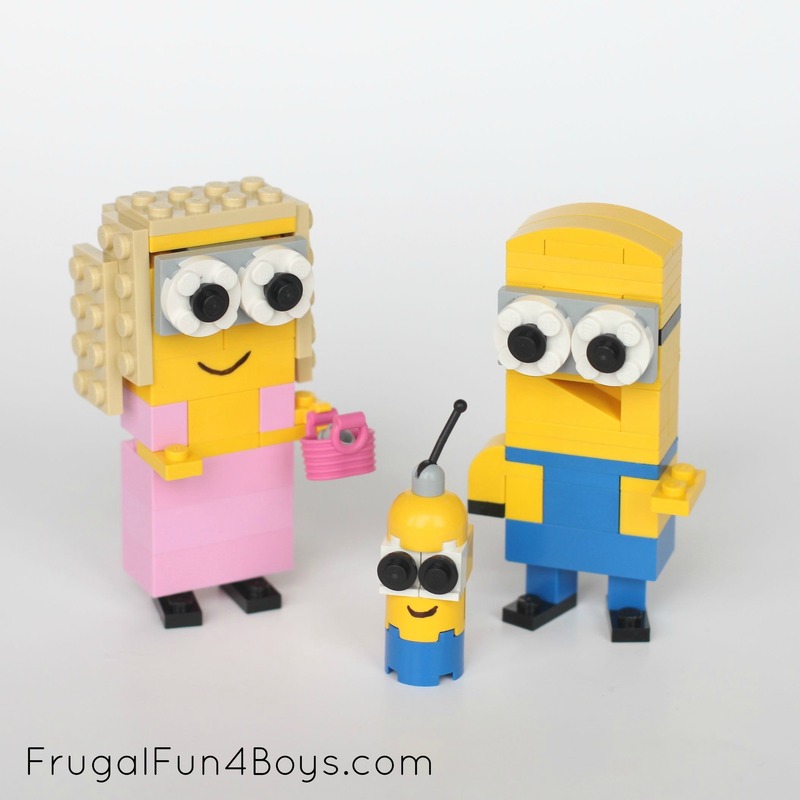 Once you’ve got all the legos sorted, then you can easily look up images of Minions online for the kids to use as inspiration or if you have any lego figures in the house those could also help kids to visualize how they want the Lego Minion to look. 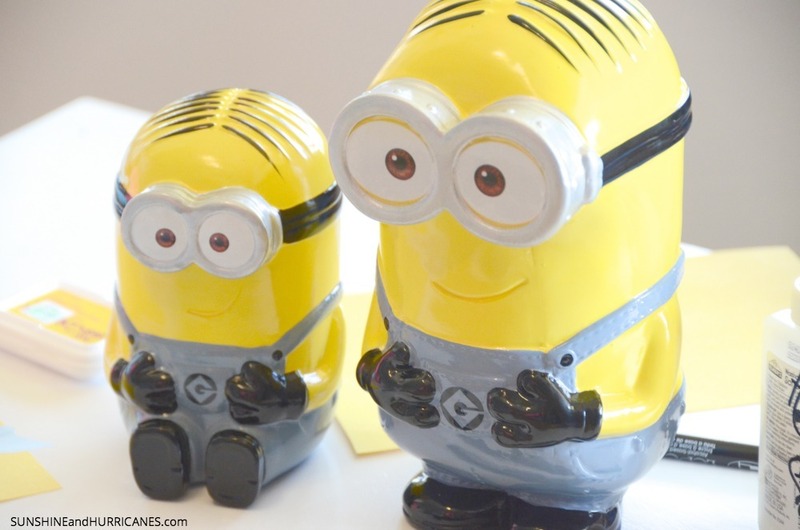 We had these two Minion banks that the kids thought were good models. 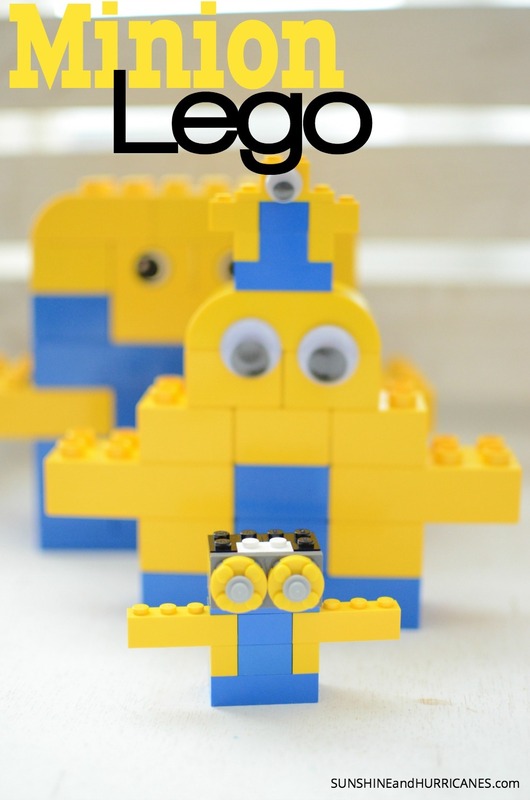 You could also turn this into a lego challenge game at a Minion Birthday Party or Despicable Me Birthday party. 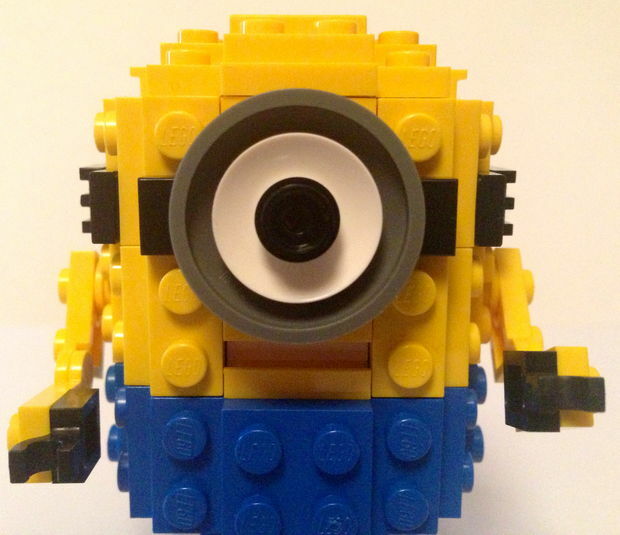 Give each child a bag or small container with the necessary legos and see who can create their Minion the fastest or who ends up with the most creative Minion. Looking for EVEN MORE Minion F-U-N?! Follow Sunshine and Hurricanes ‘s board Minion Mayhem on Pinterest.